Southend’s historic York Road Market closed on the 17th of October 2009. 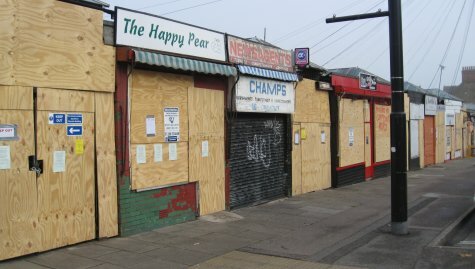 Following a Health and Safety review undertaken for the council in September, it was identified that the market, and the 22 shops based there, would have to close. Three days notice was given before the closure. The report cites rotted roof timbers, the need for re-wiring, the lack of a fire alarm and substandard glazing. Apparently, the council is in discussion with traders regarding the future of the site, and possible relocation, but it’s feared that many shops will shut for good. Many are speculating that, rather than taking remedial action and re-opening the market, the site may be sold, or turned into a car park. so very sad what has happened over the many yrs to our once lovely town….BUT I still love it + am proud to say..I COME FROm SOUTHEND!!!!!! !